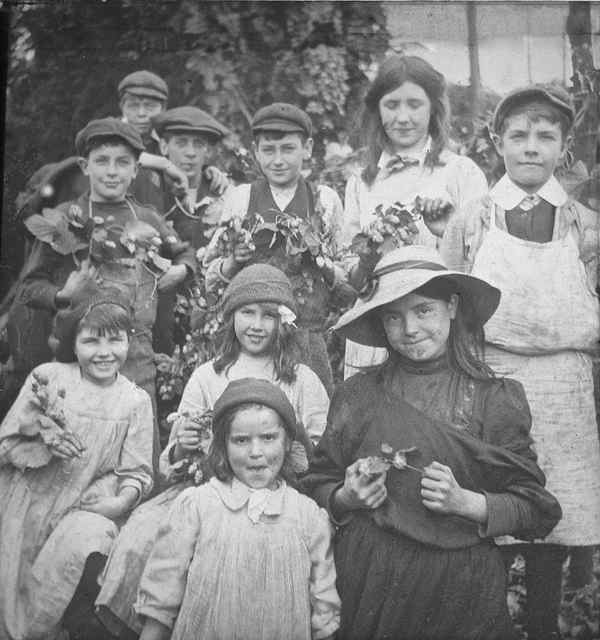 I have always loved old photographs, especially old photographs showing rural life and hop picking naturally or just general images of country ways of life that have disappeared. I find them all fascinating. 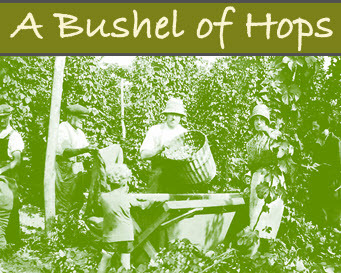 So when Tony from The Ostrich Hotel in Robertsbridge told me that he would lend me some photos of bygone hop picking days I was over the moon. 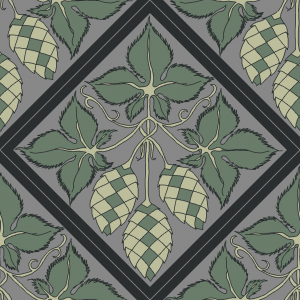 He very generously suggested I should have them copied so that I could share them on this website. Well, that all sounded fine until they arrived when they turned out to be glass plates, I had assumed they would be ordinary negatives ….. yikes… Not only a huge responsibility but also less straightforward to have them copied. Fortunately I met Jon, a young man who works at Jessops, who is interested in photographic conservation work. He literally took them under his wing and I am very grateful to him. I hope that Jessops value their young staff members who are prepared to go that extra mile. I find these photos are poignantly beautiful, the hats are divine, and the children appear naively innocent. They were of course unaffected by a constant social media flow. These images also record our social history. I had not expected to be so affected by the children. 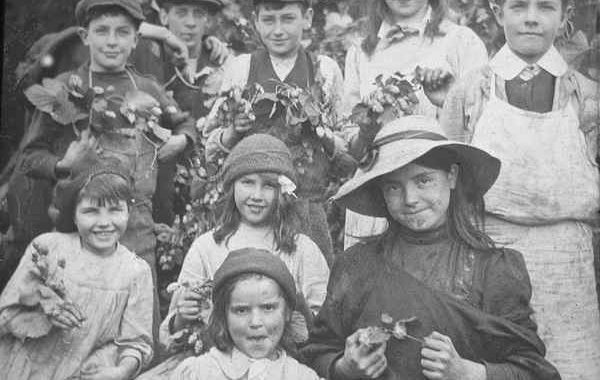 These two old photographs showing rural life and hop picking, were probably taken around 1900. 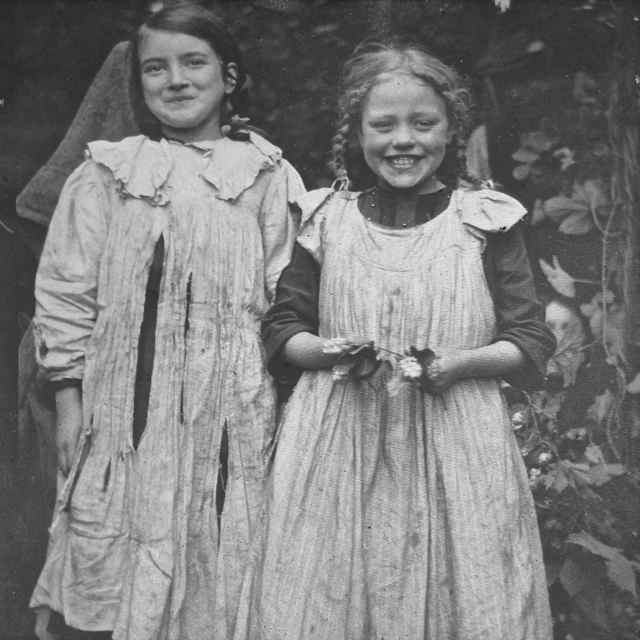 Life may have been hard then, indeed harsh for some families, but although life was tough these children almost certainly knew where their food came from and had direct contact with the land. It struck me that because those children were personally involved with the harvest, usually working alongside their extended family, they instinctively realised its significance, also that the wellbeing of their families depended on pulling together. Gathering the harvests in was a priority and local country schools closed so that children could work with their families until these vital harvests were completed. I am definitely not saying this was a desirable situation for any child to be in, nor am I hankering after some nostalgic idyll. For some of the children there was no option and I know some loathed hop picking. But I do feel sad that the pendulum has swung so far in the opposite direction leaving a lot of children far removed from any natural contact with the land. The result is they have no true understanding of where their food comes from, and a small percentage have no idea at all. Many are unaware of either the commitment or responsibility of caring for livestock, the practical effort that growing demands and consequently the significance that harvest once held. Not that long ago most families would have preserved at least some food at home for the winter months. Today supermarket shelves are brimming with foods from all over the world. Ready meals, fresh fruit and vegetables available year round whether or not they are out of season in this country, if you have the money you can purchase whatever takes your fancy. Reality has gone bonkers, this cannot be sustainable. Life may have been far from perfect then, but this year an estimated £13bn of food waste will be thrown away in the UK, yet we have more food banks than ever – we don’t appear to have advanced at all.